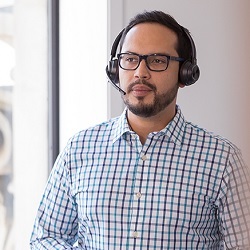 Plantronics Savi W8220 Over-the-Head Stereo Headset with Active Noise Canceling | Avcomm Solutions, Inc.
Connect in confidence by managing PC, mobile and desk phone calls with ease. 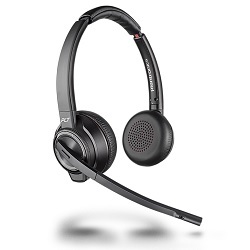 The Savi 8200 Series wireless headset system also gives you long-range roaming while enjoying the outstanding quality of enterprise-quality DECT audio. 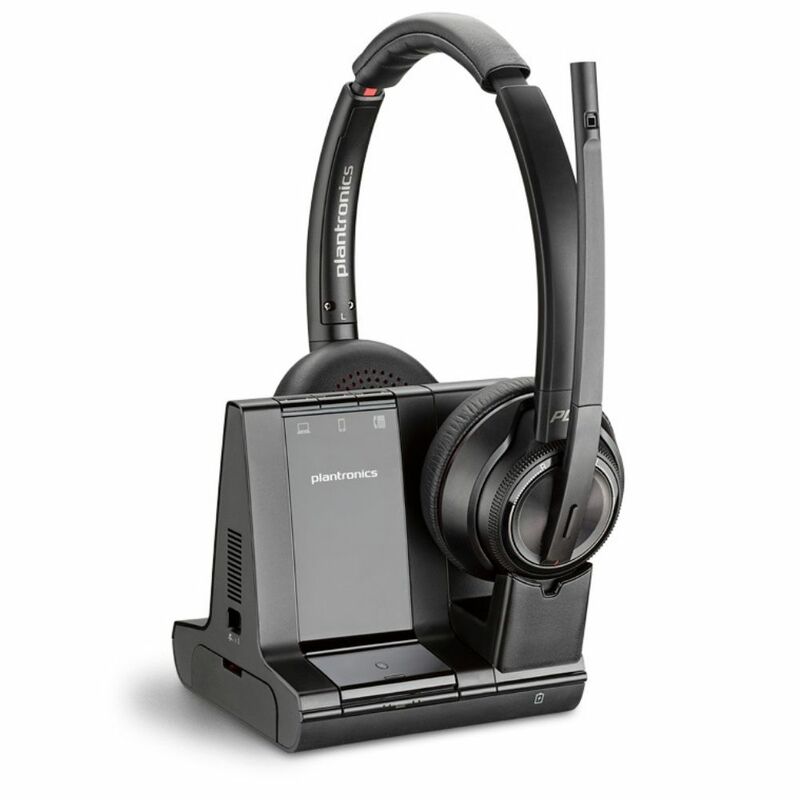 The 8220 delivers hi-fi stereo sound, whether you’re calling customers or colleagues or listening to music. 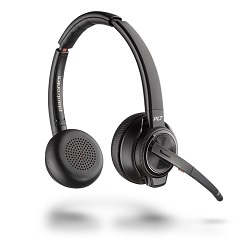 And active noise canceling (ANC) blocks out background noise so you can always stay focused on what’s important. •Hearing protection - SoundGuard DIGITAL: protects against sound levels above 118dBA; G616 anti-startle (during calls) detects and eliminates any large sudden increase in signal level; Time-weighted average prevents average daily noise exposure from exceeding 85dBA. 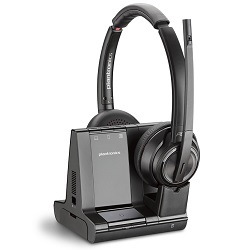 (Note, Plantronics Hub software required to enable SoundGuard DIGITAL features).